Here are our most popular packages. For larger volumes simply contact us for a quote. Customers will need to enter their mobile number in order to receive the WiFi key. You business will get a personalized WiFi login page with automated access key generator. No need for a separate Internet connection. The public WiFi is isolated from your private network. 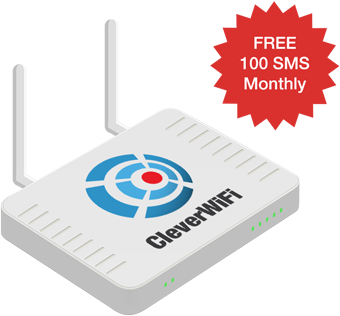 Fast and convenient method to sign your customers into your business loyalty programs managed by CleverText. Admin control panel with detailed reports about customer WiFi activity. 2019 © CleverText. Trademark of TSFY Ltd.